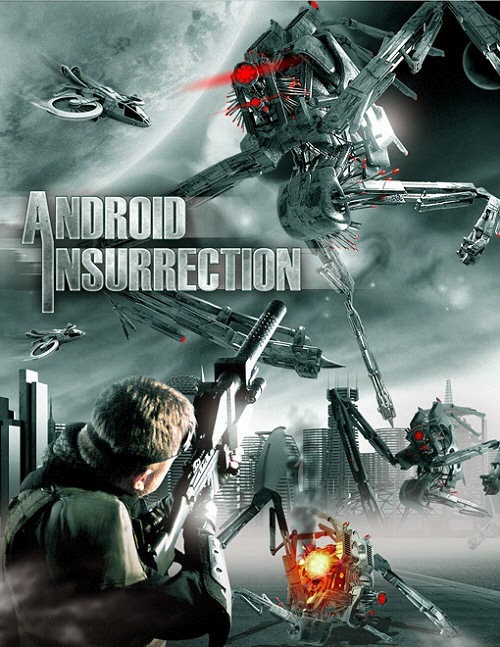 ANDROID INSURRECTION deals with a group of generic robot hunting mercenaries who are sent on a mission to infiltrate what looks like a machine shop somewhere in East Rutherford, New Jersey by a man sporting a Hitler mustache and German accent. What follows consists of running around the same 10x12 location while being chased by CGI androids who look no more realistic than chest hair on Justin Beiber. This low rent Aliens/Terminator ripoff is available for streaming on Netflix and Youtube, but as always your sanity will remain intact if you leave this flushing in the hands of professionals.